Usually ships within 8 day(s). 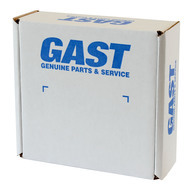 Gast AJ151E 10 micron intake filter assembly used on R4, R4P and R5 series regenerative blowers. Includes filter housing as well as the filter element. 2 1/2" NPT ports.